Tesoro Event Rentals is your premier wholesale event rental company serving Upstate New York, Ohio, Pennsylvania, New Jersey, Vermont, Kentucky, Tennesee, and Georgia. Weather your planning a wedding, gala, shower, fundraiser, graduation, picnic, or simply a small intimate dinner, we have the rental items to make you event not only a success, but one to treasure for years to come. From a full line of tables, chairs, to the finest in linen, chair covers, napkins, and tableware, Tesoro Event Rentals is the leader in providing its customers with the finest in product, great prices, and service you deserve. With over 15 years in the industry, and thousands of events completed, you can be sure we strive to bring you the latest in event rentals, as well as quality products, and a knowledgeable staff to work with you from start to finish. Our goals are to make you’re your event rental process not only smooth, and efficient, but a fun and exciting experience. We simply love what we do, and look forward to being part of your next event. 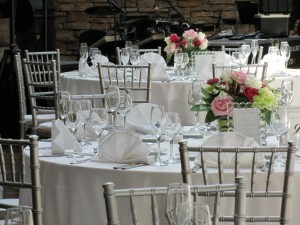 Welcome to Tesoro Event Rentals.